The enormity of what Pol Pot and his Khmer Rouge party did in the latter half of the 1970s defies hyperbole. The only word for it: genocide. The death toll: certainly more than a million, perhaps twice that amount. 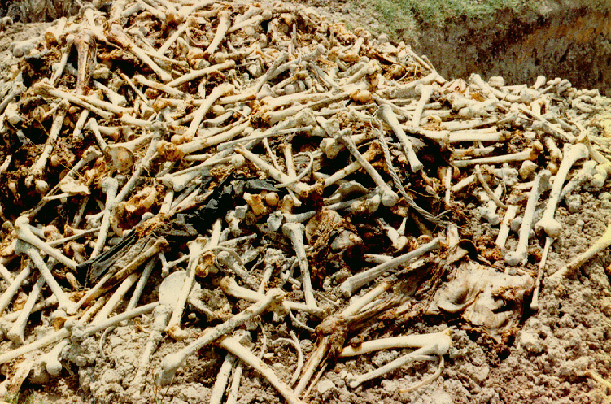 Among the first evidence of the horror, this "killing field" was uncovered in 1980.